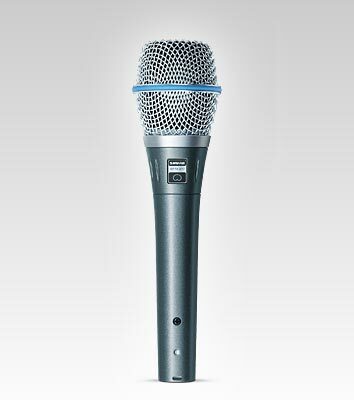 Excellent for touring professionals, the BETA®87C premium vocal microphone delivers studio-grade performance and a smooth, extended high-end frequency response in a cardioid condenser design. The microphone adds warmth to the frequency response and creates an ideal environment for personal monitoring. And its highly consistent cardioid pattern offers excellent rear rejection. Vocalists who use personal monitor systems such as Shure PSM® will appreciate how effectively the BETA 87C rejects ambient sound from the rear of the microphone.